I mentioned that I was still not happy with the texturing on the Ajax after finishing the footage for the trailer a few months ago. 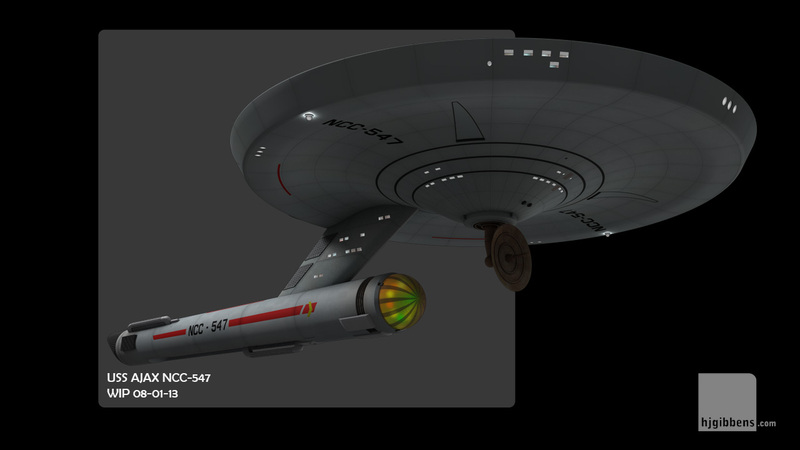 Finally got time to sit down and revamp the texturing to produce something I am a bit more satisfied with. 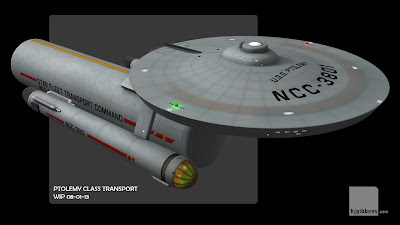 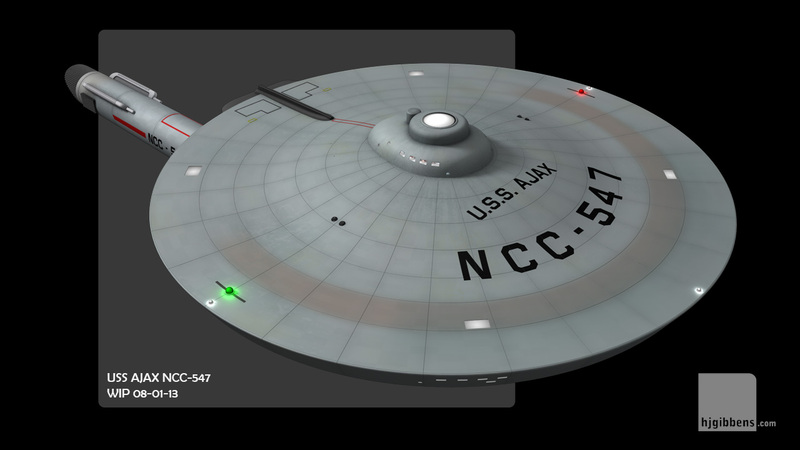 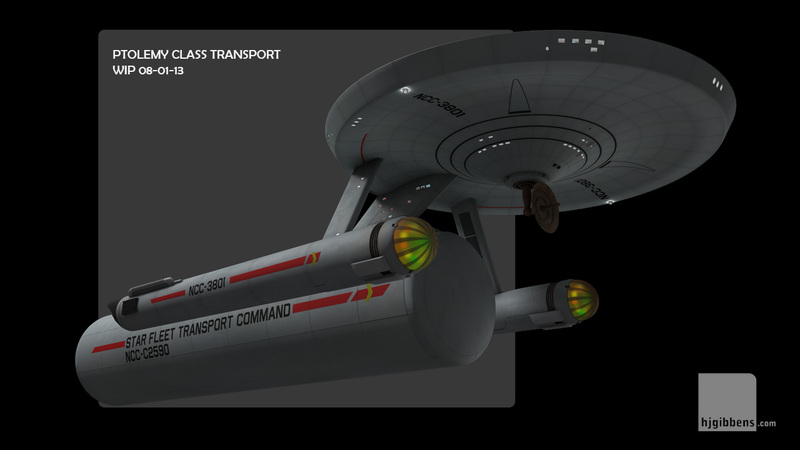 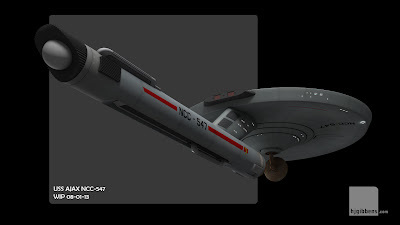 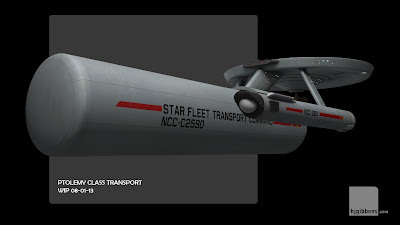 Having got the Ajax more to where I wanted it, I was also able to start bringing the Ptolemy Class Transport up to a similar level.